Home » » Why anti-nuclear? Speaking in Hindi in the session 'Why anti-nuclear?' at the National Convention on WAR ON PEOPLE:Challenges to anti nuclear anti GM peoples movements organised by Indian Social Action Forum (INSAF) on March 24 2012 at Speakers Hall, Constitution Club, New Delhi, Gopal Krishna of ToxicsWatch Alliance(TWA)situated the issue in the context of 300 years of history of arrival of 'company'. India's share in world trade reduced from 25 % in 1715 to about 1 % at present by quoting Italian Italian historian Benedetto Croce who said all history is contemporary history. The direction of the current model of development has dwarfed India's economic status and pursuing nuclear energy path will reduce it further given the fact that government is outsourcing itself to companies which is evident in the Companies Bill, 2011. The Bill makes provision of corporate donation for political parties and NGOs to the tune of 7.5 % of companies annual profits besides 2 % for hollow activities in the name of corporate social responsibility. There appears to be a similarity between concept of nuclear commerce and the concept of company as far as limited liability is concerned. The question is why have countries like Switzerland, Germany, Japan, Italy, Australia and others abandoned nuclear energy? If nuclear is indeed safe why is there so much hullabaloo about Iran's nuclear energy program. It is of huge consequence that the report of the undeclared political party, Federation of Indian Chambers of Commerce and Industry (FICCI)'s Working Group on Civil Nuclear Energy -2009 headed by Chairman & Managing Director, Nuclear Power Corporation of India Limited, Dr. S.K. Jain recommended amendment of the Atomic Energy Act, 1962 for full privatisation to build nuclear power generation capacity. 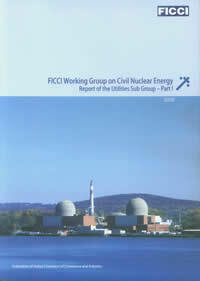 The 57-page report provided the format for "Domestic Legislation Dealing with CNL" (Civil Nuclear Liability) as well. It suggested that the directions and observations of the Supreme Court in Charan Lal Sahu's case (in Union Carbide's Bhopal Disaster matter) should serve as the object and purpose for enacting such CNL legislation. It referred to limits the compensation payable by the operators of nuclear plants for any accidents or damage to $450 million as envisaged in Convention on Supplementary Compensation for Nuclear Damage (CSC), leaving the responsibility for the rest to national governments almost in the range of compensation paid to the victims of the Bhopal industrial disaster which was Rs 710 crore at that time($470 million) wherein victims were turned from citizens into subjects of the ruling regime at the behest of a USA's company. Now Government of India feels that it should have been Rs 7800 crore although it is also inadequate. It is alarming that Dr. S.K. Jain who represented NPCIL, a public sector undertaking impudently agreed to head FICCI's Working Group and recommended full privatization and capping of liability at the rate of compensation paid to the victims of the Bhopal industrial disaster. The damage from Chernobyl is estimated at some $250 billion. Whether a nuclear accident is a $16 billion event or a multi-billion dollar catastrophe is determined by the direction and speed of the wind that carries the radioactive radiation. Unmindful of these facts even Parliament’s intent of Liability for Nuclear Damage Act, 2010 has been undermined through the notification of Civil Liability for Nuclear Damage Rules, 2011 ahead of Prime Minister’s scheduled meeting with US President on November 18, 2011 at Bali, Indonesia. The 2011 Rules insulates foreign nuclear suppliers in particular using Clause 9 of the Atomic Energy (Radiation Protection) Rules, 2004 which provides that the license for establishment or decommissioning of radiation installation will be valid for 5 years effectively denying Right of Recourse to Indian operators of nuclear reactors under clause 24 of the 2011 Rules. Clause 24 of the 2011 Rules provides that “right to recourse shall be for the duration of initial license” or “product liability period” whichever is longer. Product liability period is defined as “the period for which the supplier has undertaken liability for patent or latent defects or sub-standard services under a contract”. The Rules have fixed 5 year time limit within which the operator can claim damages from the supplier. The Act had provided that nuclear equipment suppliers will be liable for 80 years in the event of an accident. In the context of TWA's submissions to the PSC in the matter of NSRA Bill, 2011 and Civil Liability for Nuclear Damage Bill, 2010, it may be recollected that in the case of the latter liability for nuclear damage is fixed at Rs 1500 crores (US $ 300 million) which excludes damages due to acts of nature, terrorism and war. If one compares the current estimate of the Fukushima liability which is Rs 72 thousand crores (US $ 16 billion), it is quite evident that Government of India is being guided by forces which bigger than its might else no sovereign country can agree for such a raw deal. Union Health Secretary informed the PSC about the non-existence of health infrastructure to deal with nuclear emergencies. Union Agriculture Secretary informed it that extinction of plant and animal species from the nuclear project area in case of accident is certain. Therefore, their genomes should be kept in laboratories prior to such act. Union Water Resources Secretary had informed that the Ministry does not have the capacity to test radioactive contamination of water. It is relevant to note that on March 22, HK Dua asked a question in the Rajya Sabha regarding Bhabha Atomic Research Centre (BARC)'s study that has found traces of uranium in groundwater in regions beyond Malwa. V Narayanasamy, Union Minister of state in Prime Ministers Office has has confirmed that traces of radioactive elements were detected in samples collected from 13 new districts, including Tarn Taran, Moga, Barnala, Sangrur, Ludhiana, Fatehgarh Sahib, Mohali, Ropar, Nawanshehar, Hoshiarpur, Gurdaspur, Amritsar and Pathankot. The study reached beyond established problem areas of Bathinda, Mansa, Faridkot and Ferozepur to collect 92 samples from 13 new districts under a collaborative project with Guru Nanak Dev University. The uranium content in these samples varied between 0.1 and 153 ppb (parts per billion). The Minister's assertion that "none of the human studies reported so far has shown a clear association between chronic uranium exposure and cancer risk, clinical symptoms, or toxicity" does not inspire any confidence and it is unacceptable. TWA holds that exposure to uranium at every level is unsafe. Uranium is an endocrine-disrupting chemical and populations exposed to environmental uranium must be followed for increased risk of fertility problems and reproductive cancers. Even WHO's guidelines are provisional in nature because it admits that there remains a huge uncertainty about the toxicology and epidemiology of uranium. It must be remembered that conflict of interest ridden International Atomic Energy Agency (IAEA)'s agreement of 1959 with WHO puts a condition on the latter that it cannot disclose health impacts of nuclear damages without consulting the former makes all claims of possibility safety in nuclear commerce suspect. There is a consistent growing demand seeking scrapping of this agreement. TWA expresses solidarity with the anti-nuclear activists observing an indefinite fast demanding scrapping of Kudankulam nuclear power plant since March 19 when Tamil Nadu Government gave its go ahead for the commissioning of the nuclear energy project with foreign collaboration of Russia. The 15 activists including S P Udayakumar of People's Movement Against Nuclear Energy are likely to be shifted to hospital if their condition deteriorated. TWA condemned Tamil Nadu Government betrayal after supporting them. The work was stalled since September 2011. The villagers have been protesting against the plant since 1988. TWA strongly disapproved of Prime Minister's attention diversion tactics by referring to foreign hands when the entire debate is about the desirability of nuclear energy. It totally undemocratic of J Jaylalitha government to arrest those political leaders who are supportive of the villagers' cause. TWA is of the view that struggles against uranium mining in Jadugoda in Jharkhand, Domiasat in Meghalaya and Nalgonda in Andhra Pradesh, the protests against existing six nuclear power plants (in Kaiga, Karnataka, Kakrapar, Gujarat, Kalpakkam, Tamil Nadu, Narora, Uttar Pradesh, Rawatbhata, Rajasthan and Tarapur, Maharashtra) and the movement against the proposed Fench supported 9900 MW Jaitapur project in Maharashtra, the Russia backed 2000 MW Koodankulam plant in Tamil Nadu, 2800 MW project in Fatehabad in Haryana, 1,400 MW project in Chutka in Madhya Pradesh, 8000 MW project in Mithi virdi in Gujarat have become part of one struggle in the 26th year of Chernobyl disaster and 1 year of Fukushima catastrophe. There is democratic mandate against nuclear the proposed 6000 MW nuclear facility in Haripur, West Bengal as a result Government of West Bengal has refused to permit it. As per Planning Commission's statistics, there is transmission & distribution loss of 35-55 % from centralized power stations. Nuclear reactors are bound to be centralized power stations. The logical step of this data is that one should go for decentralized renewable energy projects in future. The issue of radioactive nuclear waste remains addressed. According to IAEA, which is a promoter as well as regulator of nuclear commerce, "The generation of electricity from a typical 1000 MW(e) nuclear power station, which would supply the needs of a city the size of Amsterdam, produces approximately 300 m3 of low and intermediate level waste per year and some 30 tonnes of high level solid packed waste per year." Government of India should come out with a White Paper on amount of nuclear waste generated from the existing nuclear plants and uranium mining sites. The current developments in the nuclear arena also merit attention. The 2012 Seoul Nuclear Security Summit (March 26-27) is being held "for discussion not only of the issue of nuclear security, but also of its interface with nuclear safety which became the focus of renewed attention following the Fukushima nuclear accident" in which Indian Prime Minister is also participating. The report of the India's Parliamentary Standing Committee (PSC) on Science & Technology, Environment & Forests on the Nuclear Safety Regulatory Authority (NSRA) Bill, 2011 that was presented to the Parliament on March 21, 2012 admits, "Nuclear technology ...carries with it danger of causing devastating and catastrophic effect on the people and the environment. Chernobyl incident in Russia, 3 Mile accident in USA and more recently the Fukushima incident in Japan are burning examples of the disastrous consequences that unintended nuclear incident can cause." NSRA Bill refers to the need for a regulatory body for defence and security related installations but does not commit any date for it, which is recommended by the PSC. The fact is that till date “Action taken on previous safety reviews" of civil or defence related installations including those of uranium mines have not been put in the public domain. It may be noted that Nuclear Security Summit comprises of heads of 53 states. A similar summit was held in the 1st Washington Nuclear Security Summit in 2010. The participants include Republic of Korea, Algeria, Argentina, Armenia, Australia, Azerbaijan, Belgium, Brazil, Canada, Chile, China, Czech Republic, Denmark, Egypt, Finland, France, Gabon, Georgia, Germany, Hungary, India, Indonesia, Israel, Italy, Japan, Jordan, Kazakhstan, Lithuania, Malaysia, Mexico, Morocco, Netherlands, New Zealand, Nigeria, Norway, Pakistan, Philippines, Poland, Romania, Russia, Saudi Arabia, Singapore, South Africa, Spain, Sweden, Switzerland, Thailand, Turkey, UAE, UK, Ukraine, USA, Vietnam besides heads of the UN, IAEA, and EU. INTERPOL is also participant. The summit traces its origin in President Obama's Prague speech on April 5, 2009 wherein he singled out nuclear terrorism as the most serious threat to international security and announced the plan to lead a global effort to secure all vulnerable nuclear material around the world in four years. The summit situates itself in the context of pre-existing International Convention for the Suppression of Acts of Nuclear Terrorism (ICSANT) which came to force in July 2007. So far 77 nations have ratified it. It imposes an obligation on States Parties to define the following acts as criminal offenses and to make them punishable through domestic penal law: the manufacture, possession, or the use of nuclear or radioactive material with an intent to cause serious physical injury, death or substantial damage to property or to the environment; and the use or damage of a nuclear facility in a manner that releases nuclear and radioactive material. The summit also refers to 'Convention on the Physical Protection of Nuclear Materials (CPPNM) that entered into force on February 8, 1987. It establishes measures related to the prevention, detection and punishment of offenses related to nuclear material. On July 8, 2005 States Parties to the CPPNM adopted by consensus an Amendment to the CPPNM. The Amendment to the CPPNM makes it legally binding for States Parties to protect nuclear facilities and material in peaceful domestic use, storage and transport. It also provides for expanded cooperation between and among States regarding rapid measures to locate and recover stolen or smuggled nuclear material, mitigate any radiological consequences of sabotage, and prevent and combat related offences. The amendment is yet to enter into force because two-thirds of the States Parties are still to ratify it. UN Security Council Resolution 1540, International Atomic Energy Agency Information Circular (INFCIRC) 225, an IAEA document providing guidance and recommendations for the physical protection of nuclear material against theft during use, storage, and transport, and contains provisions relating to the sabotage of nuclear materials or facilities, Global Initiative to Combat Nuclear Terrorism (GICNT), an international partnership of 82 nations and four official observers (IAEA, EU, INTERPOL, and UNODC) and G-8 Global Partership Against the Spread of Materials and Materials of Mass Destruction (G-8 GP), G-8 initiative committed to preventing terrorists or those that harbor them, from acquiring or developing nuclear, chemical, radiological or biological weapons, missiles, or related equipment and technology launched at the 2002 at G-8 Summit in Kananaski provide the backdrop for the Nuclear Security Summit. Countries that participated in the G-8 GP include the G-8 countries, the Republic of Korea, Australia, Belgium, the Czech Republic, Denmark, Finland, Ireland, New Zealand, the Netherlands, Norway, Poland, Sweden, Switzerland, Ukraine, and the European Union. It may be noted that UNSC's resolution 1540 referred is illegal because it has been made mandatory and binding for all UN members although as per international law for a law or treaty to be binding on a sovereign nation their voluntary ratification is required. The ongoing geopolitics on Iran reveals that issues of nuclear security and nuclear energy are related from the very outset but corporate media chooses to maintain a studied silence about it. Disregarding imminent Fukushima like disaster in India, the government has plans to generate 20, 000 MW of nuclear energy by 2020. World nuclear industry is misleading India despite the fact that there were 253 cancellations of nuclear reactors in 31 countries by 2002. By 2009, USA had cancelled 138 reactors. Such statistics are not published anymore. 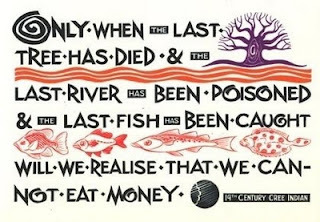 In the aftermath of IPCC report on renewable energy that underlines how 80 % of energy needs can be met using renewable energy and the views of Union Health and Union Agriculture Secretary, there is a compelling logic to abandon proposed nuclear power projects and decommission existing ones, withdraw all cases against ant-nuclear activists and villagers for energy democracy and energy justice. It is not a coincidence that 2012 Nuclear Security Summit concludes a day ahead of 33rd anniversary of Three Mile Island accident, USA's worst nuclear accident. It is also not a coincidence that US Supreme Court has lifted the limit on electoral spending on political candidates during elections and the same is being incorporated in India’s Companies Bill at the behest of political institutions like FICCI in installments. Well I am also interested in doing something against pollution and corporate crimes and particularly do follow politician and corporate mutual understanding that they use for there own benefits and meanwhile ignore there duties.